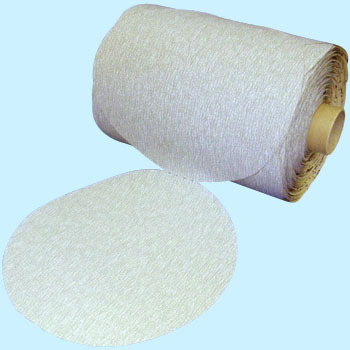 Abrasive Paper Roll ,"StikitTM Finishing Roll 426U"
Recently just a magic formula, the adhesion type is getting less. I bought it as soon as I wanted. It is a 3M item, so I could use it with confidence. The price was not so expensive. This review is about item#32611013. It is very convenient because it can be used by gluing paper on wood chips and boards. I am satisfied. It may be completed as soon as possible. Previously it was a product called Stikit Uni of the company, but it seems that durability was much better. Also, it seems that the handling of goods is very rough, so that the former box can be "taken out and roll cut" as it is, but it was considerably broken and could not be used. Because it makes it look hoar to say complaints like boxes .... It was carefully packed in a broken box. This review is about item#32611047. I use this as a sanding paper by folding this one piece instead of attaching it to a machine. Good machinability / clogging and can sharpen a fair extent with one piece. It is still a maker item. This review is about item#32611022.